David Danford is a professional musician working throughout the UK and abroad. His work as a percussionist has included recording sessions with Dru Masters (composer for The Apprentice, BBC), former BBC Radio 1 DJ Judge Jules and international music producer Darren Tate, and live performances with Bryn Terfel, Evelyn Glennie and Karl Jenkins. He has performed solo recitals at a number of the UK's music conservatoires and universities, and given orchestral concerto performances in many of the UK's leading concert halls. David's work as a composer, arranger and music producer covers many different genres. He writes accessible contemporary classical music (including Gweddi performed at the Welsh Proms in 2012), modernised traditional music (including arranging and directing the music for the opening ceremony of the Llangollen International Musical Eisteddfod in 2012) and works as a record producer for an array of bands and artists. Carnifal was commissioned by Caerphilly Music Service in 2011 to be performed by their county percussion ensemble and samba band at St David’s Hall, Cardiff. It is scored for 7 percussionists, bass guitar and optional piano but any extra players can double the tenor drum or bass drum parts. The samba band can be of any size. 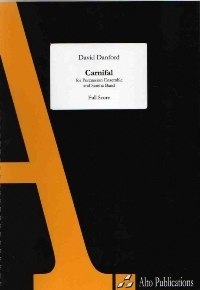 Part One of Carnifal can also be played as a stand-alone concert piece without the presence of a samba band. 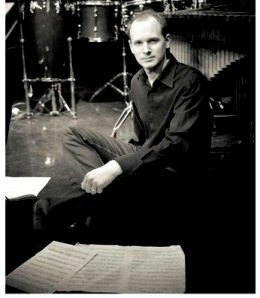 David Danford's Cello Concerto was written for the Welsh cellist Steffan Morris in January 2014. The premiere will take place in Carmarthen on Sunday 2nd March 2014 and Steffan will be accompanied by the Welsh Session Orchestra. 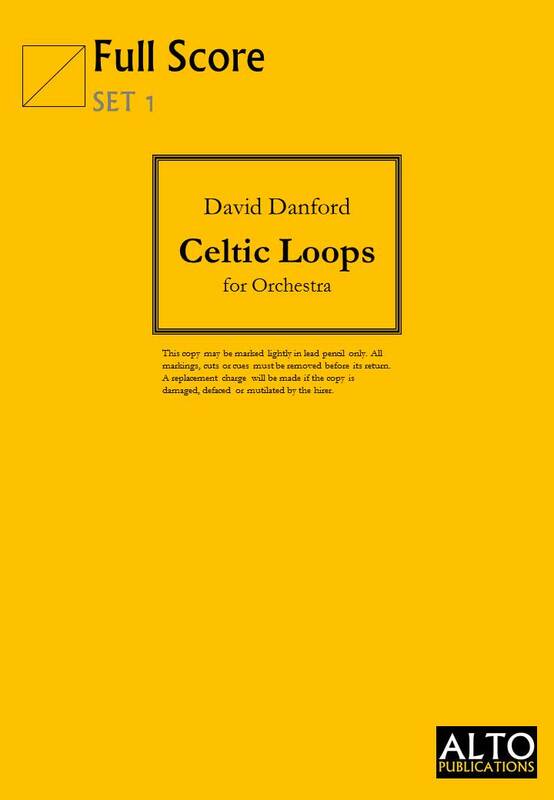 Celtic Loops was composed specifically for a Welsh composers project organised by the BBC National Orchestra of Wales in 2012 and premiered by the British Sinfonietta the following year. Celtic Loops draws on influences from many different genres of music that I have been involved with as a composer and performer in recent years. First and foremost the Loops element of the title refers to the short looped phrases that are present throughout the work, undoubtedly inspired by the American composer Steve Reich, whose music I regularly perform with fellow percussionist Sarah Mason under the name Crossfire Percussion Duo. This element of the piece has also been inspired by the Scottish percussionist Cameron Sinclair, whose 1984 composition Funk Loops 1 has become a standard item of percussion ensemble repertoire. The melodies in Celtic Loops are influenced by a number of traditional Welsh folk tunes that I have encountered through performing with the band Taran, a collective of Welsh folk musicians presenting traditional tunes combined with contemporary electronic music beats. Festive Funk is a unique take on the Christmas Carol God Rest You Merry, Gentlemen scored for big band. A traditional opening from a traditional brass quartet is soon interrupted by a funk rhythm section. Dedicated to the Caerphilly Youth Big Band and premiered by the same ensemble in December 2010. A new five-minute concert piece for flute and vibraphone. Premiered by Detta Danford (flute) and David Danford (vibraphone) in July 2010. An alternative version of Gweddi arranged for flute and piano. Performed by Tranquilo Duo at the Welsh Proms in July 2012. Haberdashery was commissioned by Haberdashers’ Monmouth Schools in 2009 to be performed by their junior percussion ensemble during a summer tour to France. The minimum number of players required is six. If extra players are available they should be distributed evenly between the two conga parts. There are two versions of the timpani part included; one for three drums and one for two. The two drum version is included solely for ensembles that don’t have access to a third drum. The two versions should not be played together. 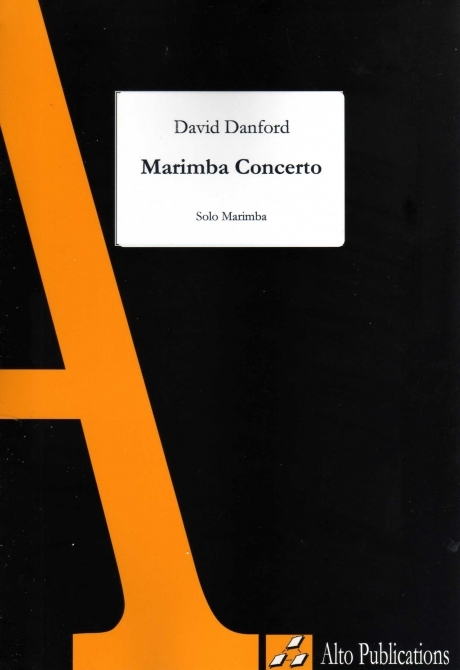 David Danford's Marimba Concerto was commissioned by the Japanese born percussion soloist Yasuaki Fukuhara in October 2013. The brass band version was recorded by the Leyland Band in April 2014.